Space Flight Laboratory (SFL) of Toronto is on a mission to expand the utility of smallsats in a variety of commercial, government and research sectors. Among the organization’s current focus areas is the exploitation of its successful heritage in autonomous formation flying, a technology that enables multiple satellites to work together and to perform functions that are not typically possible with just a single satellite. SFL is reputed to be the only organization to have accomplished precise, autonomous formation flight with centimeter-level knowledge and sub-meter level control accuracy in LEO on two nanosatellites: CanX-4 and CanX-5. This space-proven compact technology is now available at low cost, enabling commercial exploitation previously not possible. Autonomous formation flying means the satellites are orbiting in a constellation with their relative positions predetermined, with their spacing precisely maintained without assistance from ground-based commands. 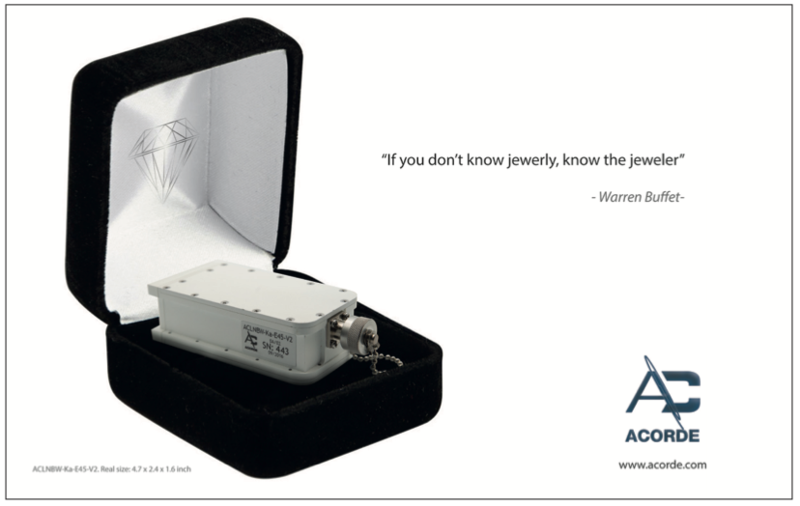 Autonomy refers to the fact that onboard hardware and software allow the satellites to communicate with one another to keep their positioning exact. “For space-borne sensing and localization missions, autonomy is the key because the real-time position determination and control continuously preserves the precise configuration, which establishes a more accurate positional baseline to process the measurements and data being collected,” said Zee, who then added that not all satellite constellations use, or need, autonomous formation flying. For example, clusters of small Earth Observation (EO) satellites now being launched have a primary objective of collecting large volumes of imagery on frequent revisit cycles — these missions do not necessarily require the technology. SFL, on the other hand, is focused on enabling a different set of applications that would not be possible, or would be prohibitively expensive, with single satellites or with uncontrolled constellations. Established at the University of Toronto Institute for Aerospace Studies (UTIAS) as a self-sustaining specialty lab servicing the world, SFL builds smallsats on tight schedules and at low cost. Over the past two decades, the organization has developed 25 nano-, micro- and small satellite missions that have totaled more than 68 years of orbit time. The SFL has spanned the full spectrum of space-borne applications, including EO, environmental sensing and communications. During the course of these diverse missions, the SFL has innovated precise attitude control, modular power systems, and numerous subsystems designed specifically for smallsats, which have contributed to development of autonomous formation flying capabilities. Others who have accomplished formation flight to date have done so with larger, more expensive satellites, or with much less accuracy, which makes commercial implementation and utility virtually impossible. Formation flying capabilities exist for traditional satellites, but operational deployment in many applications, especially related to commercial geospatial and location-based services, has been impractical due to the cost of building multiple large satellites. These other technologies do not scale well to smaller satellites because of both the size and expense of the components and subsystems involved. 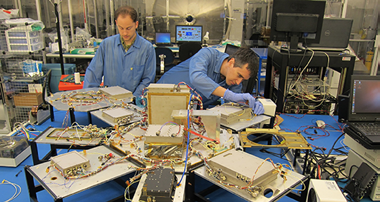 CanX-4 and CanX-5 in SFL clean room prior to successful 2014 mission. Photo is courtesy of Space Flight Laboratory. 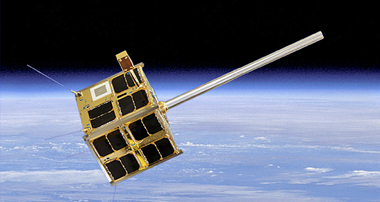 SFL, however, achieved a microspace breakthrough in technology and cost-effectiveness with the development of the CanX-4 and CanX-5 demonstration mission in 2014. Funded by SFL and the Canadian government, the two 7 kg nanosatellites flew autonomously in five planned orbital configurations with separations varying from 50 meters to one kilometer. Their positional accuracy was less than a meter, and relative position knowledge was within a few centimeters. 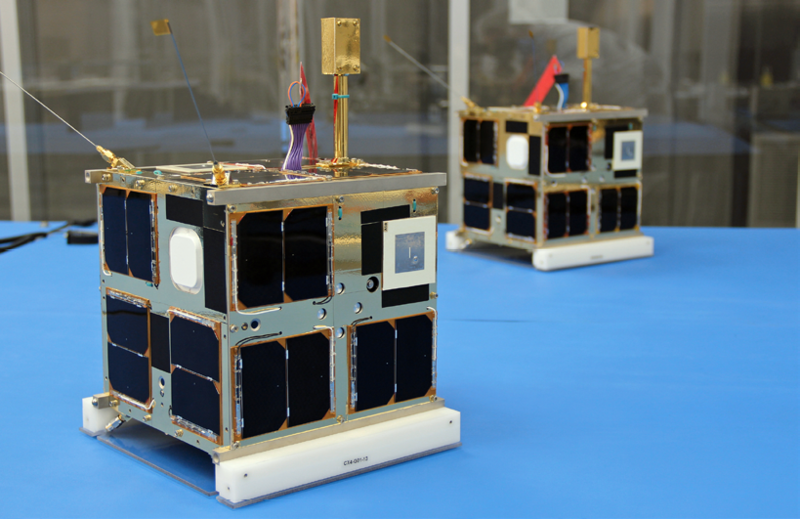 While CanX-4 and CanX-5 are nanosatellites — under 10 kg — bigger satellites such as microsatellites (10-100 kg) and small satellites (100-500 kg) are also direct beneficiaries of the SFL technology. 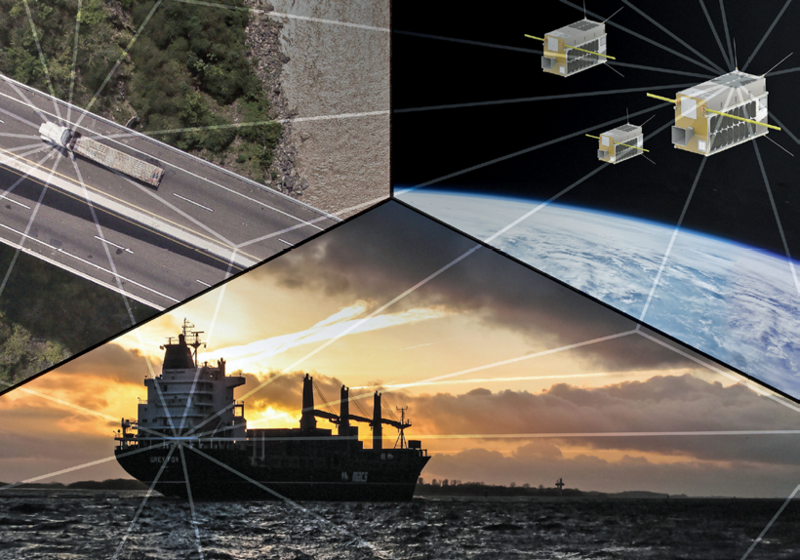 Now that autonomous formation flying is a technical and practical reality for smallsats, SFL believes one of the most common uses will be in geolocation services. This involves three or more satellites receiving radio frequency (RF) signals from transmission sources on the ground (either active or passive) and using triangulation to precisely calculate their locations in three dimensions. “The accuracy of the location calculation depends on how precisely the separation of the satellites is known and controlled,” said Zee. One of the first companies to create a commercial business around satellite-based geolocation is HawkEye 360 in Herndon, Virginia. Primarily due to the success of CanX-4/CanX-5, the HawkEye 360 development team, led by Deep Space Industries, selected SFL to build a demonstration constellation that was comprised of three 15 kg microsatellites that is scheduled for launch in early 2018. HawkEye 360 is creating an RF survey-based geospatial information network that will map and analyze RF signals coming from numerous communications and transportation sources, including air, sea and land vehicles. Among the applications will be identifying wireless broadcast interference sources for communications companies and expediting the location of emergency beacons in search-and-rescue operations. “Automated formation-flying makes our mission both possible and differentiated,” said Chris DeMay, Founder and Chief Operating Officer of HawkEye 360. Another application enabled by autonomous formation flying is sparse aperture sensing. In this application, a cluster of satellites equipped with small sensors capture data that is then combined to provide the effect of a single instrument with a larger aperture than individual satellites in the cluster could independently carry. For example, Synthetic Aperture Radar (SAR) images from different satellites in formation flight can be processed and combined for higher resolution imagery. 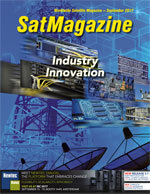 This enables the use of smaller antennas and smaller satellites. Other SAR applications include Interferometric SAR (InSAR), where an interferogram of two SAR images is made from SAR images captured by formation flying satellites to provide real-time change detection. “As with triangulation, the accuracy of combining these multiple data sets into meaningful information relies on knowing the precise baselines, or relative positions, of the sensors on the satellites,” said Zee. Clusters of electro-optical sensors might leverage formation flight to identify and track movement of objects on the ground or to capture overlapping image pairs for use in stereo photogrammetry. The autonomous formation flying technology developed by SFL is a complex choreography of hardware systems and software algorithms. They work together to keep the satellites in their intended orbital configurations with predefined baseline separation among them. SFL devised closely coupled sets of algorithms for attitude control, navigation and formation control of the satellites. These software solutions interact primarily with three onboard hardware systems: propulsion, carrier phase differential GPS and S-band inter-satellite radios. Navigation is provided by the GPS receivers, which SFL has adapted from terrestrial units to minimize cost and size. The data from the GPS units are then analyzed to determine the relative phases of reception among the formation flying satellites that in turn determine relative separation distances. The GPS hardware and navigation algorithms determine relative position to within a few centimeters on orbit. With this information, the on-board formation control algorithms then actuate satellite propulsion systems to counteract orbital perturbations and control relative position in the chosen orbital configuration to sub-meter accuracy. CanX-4 and CanX-5 were particularly challenging, given their small 20x20x20 cm size. For the individual satellites to receive signals from the same GPS satellites, they had to mirror each other in orientation to point their GPS antennas in the same direction. SFL developed an extremely precise attitude control system for their nanosatellite buses, taking into account that thrusters can only be placed on one of the exterior surfaces of each satellite due to the spacecraft’s small size. Thrust commands were coupled with the attitude and formation control systems to maintain orientation and position. SFL has developed several different propulsion system technologies to maneuver satellites in orbit. For the CanX-4/-5 mission, cold gas was used for the sake of simplicity; however, SFL has developed warm gas, monopropulsion and cylindrical Hall thruster systems for smallsat missions that require higher efficiencies and longer durations in orbit. 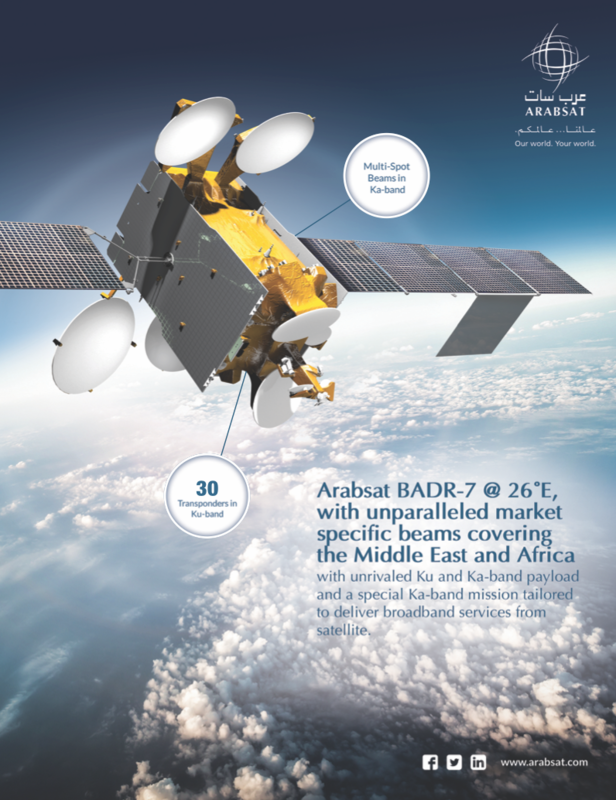 Critical for the control algorithms to operate in a coordinated fashion is the inter-satellite communications link. The CanX-4 and CanX-5 satellites carried S-band radios that shared data, most importantly their attitude and GPS location information. The sharing of information is a key enabler that allowed the satellites to stay in a precisely controlled formation. For CanX-4/CanX-5, onboard radios receive commands from the SFL ground station in Toronto to move the satellites into specific configurations, but once there, the satellites maintain formations on their own. Most operational formation missions are likely to use only one particular configuration depending on the mission applications, but the formations can change in flight. SFL believes autonomous formation flying will become a mainstay capability for the majority of smallsat constellations in the near future, primarily because the affordability of the technology now makes many multi-satellite missions financially viable that simply were not so in the past, especially in the commercial sector. There is strength in numbers. Individual satellites in a constellation can fail or be replaced, often without mission degradation, and the constellation itself can be upgraded incrementally over time with new additions. Large clusters of multiple satellites are also difficult to jam from the ground, and hence provide electronic protection against denial of service threats.